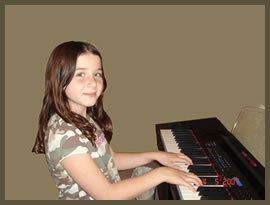 I believe that music education is a joyful and enriching experience for people of all ages. The positive effects music training has on a child's physical, social, emotional, and intellectual development are invaluable. Offering children a chance to build self-esteem is offering them the keys to achievement. Confidence gives them the courage to express themselves, the resilience to face setbacks and the motivation to set and accomplish personal goals. I have reproduced the article below to illustrate the power music can have in a child's life. This article first appeared in New Horizons' On the Beam, 1993. Recently a number of reports have appeared that attest to the connection between music and academic achievement. In a study of the ability of fourteen year-old science students in seventeen countries, the top three countries were Hungary, the Netherlands, and Japan. All three include music throughout the curriculum from kindergarten through high school. In the 1960's, the Kodály system of music education was instituted in the schools of Hungary as a result of the outstanding academic achievement of children in its “singing schools.” Today, there are no third graders who cannot sing on pitch and sing beautifully. In addition, the academic achievement of Hungarian students, especially in math and science, continues to be outstanding. The Netherlands began their music program in 1968, and Japan followed suit by learning from the experience of these other countries. Another report disclosed the fact that the foremost technical designers and engineers in Silicon Valley are almost all practicing musicians. A third report reveals that the schools who produced the highest academic achievement in the United States today are spending 20 to 30% of the day on the arts, with special emphasis on music. Included are St. Augustine Bronx elementary school, which, as it was about to fail in 1984, implemented an intensive music program. Today 90% of the students are reading at or above grade level. Davidson School in Augusta, Georgia (grades 5-12), which began its music and arts program in 1981, is #1 academically in the country. Ashley River Elementary in Charleston, North Carolina is #2 academically, second only to a school for the academically gifted. I personally experienced the relationship between music and scholarship when I was director of the Seattle Creative Activities Center many years ago. At that time, we did not have the research at hand to explain why many children who were taking music and painting classes suddenly began to excel in math at school. Other children began to improve in their language arts skills. Today, the research emerging from the cognitive sciences gives us useful information to explain those connections. As a result of technology which allows us to see the human brain while it is in the process of thinking, we can observe, for example, t hat when people listen to melodies with a variety of pitch and timbre, the right hemisphere of the brain is activated. It also “lights up” when people play music by ear. When, however, people learn to read music, understand key signatures, notation, and other details of scores, and are able to follow the sequence of notes, then the left hemisphere “lights up.” Significantly, it is activated in the same area that is involved in analytical and mathematical thinking. 1. They are languages that all people speak --that cut across racial, cultural, social, educational, and economic barriers and enhance cultural appreciation and awareness. 2. They are symbol systems as important as letters and numbers. 3. They integrate mind, body, and spirit. 4. They provide opportunities for self-expression, bringing the inner world into the outer world of concrete reality. 5. They offer the avenue to “flow states” and peak experiences. 7. They make it possible to experience processes from beginning to end. 8. They develop both independence and collaboration. 9. They provide immediate feedback and opportunities for reflection. 10. They make it possible to use personal strengths in meaningful ways and to bridge into understanding sometimes difficult abstractions through these strengths. 11. They merge the learning of process and content. 12. They improve academic achievement-- enhancing test scores, attitudes, social skills, critical and creative thinking. 14. They are essential components of any alternative assessment program. 15. They provide the means for every student to learn. The work of Dr. Paul MacLean at the National Institute of Mental Health gives us further insights into the value of music education. His triune brain theory suggests that the human brain is really three brains in one. The smallest part, about 5% of the brain, the reticular formation, is the gateway for most sensory input and is devoted to maintaining the operation of automatic body process, such as respiration and heartbeat. It is also the seat of habitual or automatic behavior. The second part, the limbic system, is another 10% of the brain and is the seat of the emotions, certain kinds of memory, and glandular control. The largest part, the cerebral cortex, which is about 85% of the brain, is devoted to higher order thinking processes. MacLean points out that the limbic system is so powerful that it can literally facilitate or inhibit learning and higher order thinking. It appears that positive emotions, such as love, tenderness, and humor, can facilitate higher order thinking skills; whereas negative emotions, such as anger, hostility, and fear, can literally downshift the brain to basic survival thinking. The relationship to music education is clear when we observe students joyfully making music together and when we gather information about their academic achievement in other areas. A study by Bloom on gifted musicians reveals that most had very positive early learning experiences with teachers who were patient, supportive, and loving. Task masters came later in their lives. Further research from the cognitive sciences by Dr. Marian Diamond, Berkeley neurophysiologist, offers information that the brain changes physiologically in relation to learning and experience-- for better or worse. She has found that positive, nurturing, stimulating learning experiences that offer opportunities for interaction and response can result in richer neural networks, which are the “hardware” of intelligence. The dynamic quality of making music can be one of those kinds of experience. I believe that it is essential that music must be taught throughout the curriculum, and not just in separate areas such as orchestra and choir. That is one way we can assure sufficient future participants in those classes, and a way we can offer opportunities for all students to develop their capacities more fully. How is this possible at a time when many teachers are graduating from schools of education without any background in music? It is important for everyone committed to the importance of music education to join together to convince those schools of the need for that background. Meanwhile, much of the new technology now available can be implemented by any teacher. For example, Amanda Amend, music educator at Grinnell College, has developed a series of videotapes called Your Musical Heritage. These tapes utilize accelerated learning techniques to communicate the content in dynamic, imaginative ways. Kathy Carroll, Washington D.C. science teacher, has developed a cassette tape called Sing a Song of Science, which was produced by the students at Duke Ellington School of the Arts. That tape is useful in itself, and can also stimulate students to create songs of their own to learn or review material. For older students, the Warner Audio Notes computer programs that run on a CD-ROM, currently include Beethoven’s String Quartet #14, Mozart’s The Magic Flute, and Brahms’ German Requiem. The Voyager Company has produced Stravinsky’s Rite of Spring and Beethoven’s Symphony #9. These programs allow the viewer to follow the score as the music plays, make it possible to listen to any instrument alone, analyze the score, and learn about the composer and more about the composition using pictures, text, spoken commentary, and various interpretations of the music. There are many ways to incorporate music in the curriculum of any subject, whether it is to provide a rich background for literature and writing courses, concrete ways to learn fractions and other mathematical concepts, understanding of other cultures, and accelerated ways of learning foreign languages and other subjects. Dr. Georgi Lozonov, Bulgarian founder of accelerated learning techniques, has researched the most effective music to use in his system. He has found the Baroque and Romantic music offer the ideal background for enhancing the learning of any subject. In using this system, corporate training programs and schools often cut learning time in half. All teachers today are challenged by the increasing diversity of their students, and they all need more effective ways to work with these differences. Music is a language that everyone speaks and understands. We are all born rhythmical people-- we lived with our mother’s heartbeat for nine months before we were born. We all live with the rhythms of our respiration and heartbeat. The human body and voice has surely been used in early artistic self-expression not only by ancient humans, but by every child today. At Chicago’s inner city Guggenheim Elementary School, the faculty and students are finding new success in learning through the visual arts and music. Attendance is high, test scores are steadily rising, and enthusiasm is pervasive throughout the school. At the Horton School in San Diego, music has been used extensively to teach all the students to become bilingual in Spanish and English. If we are to make a strong case for music education, we cannot do so merely by focusing on its cultural value to civilization. We cannot do so by just discussing what it does for the human spirit. We must begin to use the information at hand from the cognitive sciences. We need to carry on research on the academic achievement of music students and make that information broadly available to all those engaged in educational planning and practice. We need to note the results of music education in the improved development of higher order thinking skills, including analysis, synthesis, logic, and creativity; improved concentration and lengthened attention spans; improved memory and retention; and improved interpersonal skills and abilities to work with others in collaborative ways. And then we can discuss the joy of learning that comes from listening to and making music. Peak experiences, in which what people are thinking and what they are doing, merge and are often experienced by musicians. These "flow states" result in learning which becomes its own reward. When all educators recognize the value of music as an integral and essential part of the curriculum, we will see more opportunities for all students to be successful. Copyright © 1993, 1994, 1995, 1996, 1997, 1998, 1999, 2000, 2001 New Horizons for Learning, all rights reserved.